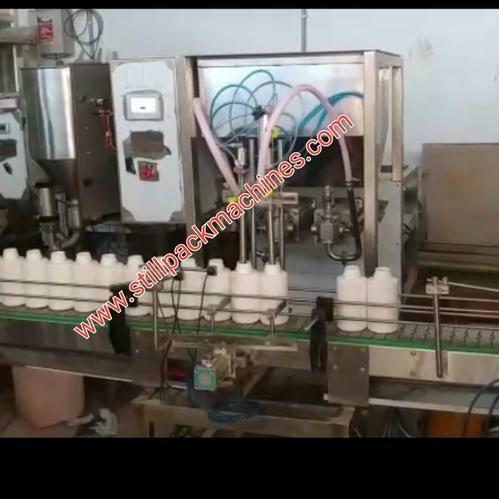 we offer filling machine ideal for packing in bottle /jars any kind of free flowing liquid. liquid piston filling is best suited for pharmaceutical syrup, pesticides, oils, chemicals etc. liquid piston filling is best suited for pharmaceutical syrup,pesticides,oils,chemicals etc. Incorporated in the year 2016, Stillpack Packaging Machines is one of the reputed companies in the market. We are working as a Sole Proprietorship based firm. The head office of our company is situated in Hyderabad, Telangana (India). We are the leading manufacturer of this domain, engaged in offering a wide range of products such as Liquid Filling Machine, Filling Machine, Powder Filling Machine, Bottle Filling Machine and many more. These products are well tested on various quality parameters.